One challenge facing landlords are government-mandated disclosures that must be provided in private leases. One such disclosure concerns possible lead-based paint hazards. Each year, a number of landlords are prosecuted for violating the federal or state rules regarding disclosure of lead-based paint risks. The penalties can be severe. For instance, the EPA announced recently that it may pursue a lengthy jail sentence against a private landlord who prosecutors say willfully violated the rules. The EPA regulates lead-based paint disclosures and mitigation of lead in rental properties. This agency requires that every landlord leasing in buildings built before 1978 provide each tenant with the EPA-approved information pamphlet on identifying and controlling lead-based paint hazards, Protect Your Family From Lead In Your Home. For tenants who do not speak English, this document is available in other languages. Landlords renting pre-1978 units also must disclose any information concerning lead-based paint or lead-based paint hazards pertaining to the building. Landlords must also provide a lead disclosure attachment to the lease, or language inserted in the lease, that includes a “Lead Warning Statement” which is signed by the tenant and landlord, confirming that the landlord has complied with all notification requirements. 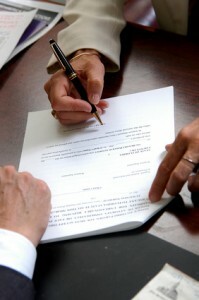 These forms can be found on the EPA website at http://www2.epa.gov/lead/real-estate-disclosure#propertyml. These documents should be provided prior to leasing. Copies of completed forms must be saved for a minimum of three years. Most private housing, public housing, federally-owned housing, and housing receiving federal assistance built prior to 1978 are affected by this rule, including properties with only one rental unit. In addition to these disclosure rules, landlords must be aware that any remodeling work to be performed on pre-1978 properties must comply with recent standards set for the safe handling and removal of lead paint and dust. Several states and some cities have passed laws concerning lead paint mitigation that may require separate inspections or disclosures. The EPA may allow a landlord to substitute their state’s mandated disclosures for the federally-mandated ones. Check with the EPA to determine if your state qualifies. Real estate agents are required to comply with the EPA lead-based paint disclosure requirements as well.